Anyone with a smartphone knows that one of the best feature of such a phone is the apps. The challenge is determining which apps are the ones to download and use. Judy Robinson and I coordinated an App Share as a session at the Scholastic Journalism Division’s meeting to let members share apps and let everyone learn about apps they weren’t familiar with. The apps that were shared and who shared which app. 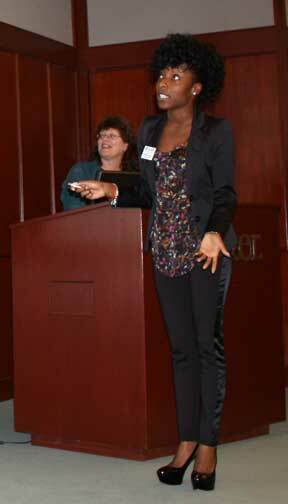 Rokeshia Ashley shared inClass, an app that can help students — or faculty — get organized. 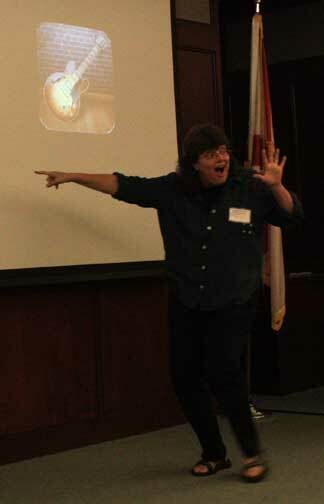 Judy Robinson advanced the slides. These were those real world testimonials, with everyone sharing how they used their favorite apps for class assignments or improving work efficiency. We had WiFi in the Poynter auditorium, so I could see several people going online to download apps as the presentations progressed. In some cases, the app was the next version of what previously was available for a computer. That’s true of Dropbox and GarageBand, for example. In some cases, the app is a digital version of what had been a print tool. The Associated Press Stylebook has been around since its first edition in 1953. After the on-screen sharing, other members added to our app list.